The girls are touching up their makeup and the guys are sliding on their coats when the doorbell rings. No one is there. An envelope sits on the doormat. It’s an anonymous note addressed to their friend Sonny. A secret admirer? Maybe. They all laugh it off. 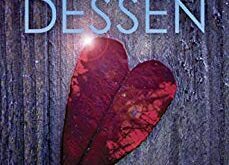 Mind games at it’s finest, You Will Be Mine by Natsha Preston is a psychological thriller for those not of the weak of heart or stomach. You Will be Mine follows Lylah as she struggles with a past that is scary and debilitating, but is surrounded by friends and things that make her strive to be better and grow. Unfortunately not all is as it seems. The story touches on relationships and the struggle to maintain and build new ones when you’ve had negative ones or negative experiences in your past. It also touches on the importance of family, but also how it can sometimes feel overwhelming and you need to escape that hold to be independent. On top of all that, you get your gruesome, suspense-filled thriller packed with action. This story never stopped. It was one crisis after another; one horrible scene after the next. 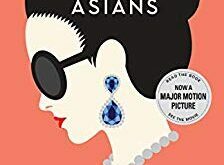 While I couldn’t relate directly to things Lylah had been through, but I was still able to connect to her and the story. I was fully immersed and wanting to know what was happening next. Preston had a smooth writing style that kept the pages turning and never left dull moments. Lylah’s friend circle was a big point in this story. I found myself drawn more to some of the friends than Lylah herself. I felt they added a lot to the story. I spent the entire story thinking it was one person only to be proved completely wrong, which I loved. 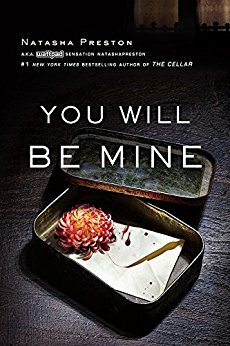 Overall You Will be Mine was a fantastic read for anyone who enjoys mystery thrillers with a little love and family thrown in will love this. Plus it will play major psychological games on you! Pick it up. You won’t regret it. You Will Be Mine by Natasha Preston is out now and available on Amazon and Barnes and Noble. You can also add it to your To Reads list on Goodreads. Also leave feedback for the author when you are finished. 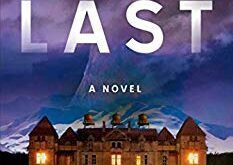 Author Natasha Preston is the New York Times Bestselling author of The Cabin. You can check out that and her other books HERE on Amazon. You can find out more about her on her website and also follow her on Twitter for up-to-date information on her upcoming projects.